Of all the senses, touch is the most ineffable—and the most neglected in Western culture, all but ignored by philosophers and artists over millennia. Yet it is also the sense that links us most intimately to the world around us, from our mother’s caress when we’re born to the gentle lowering of our eyelids after death. 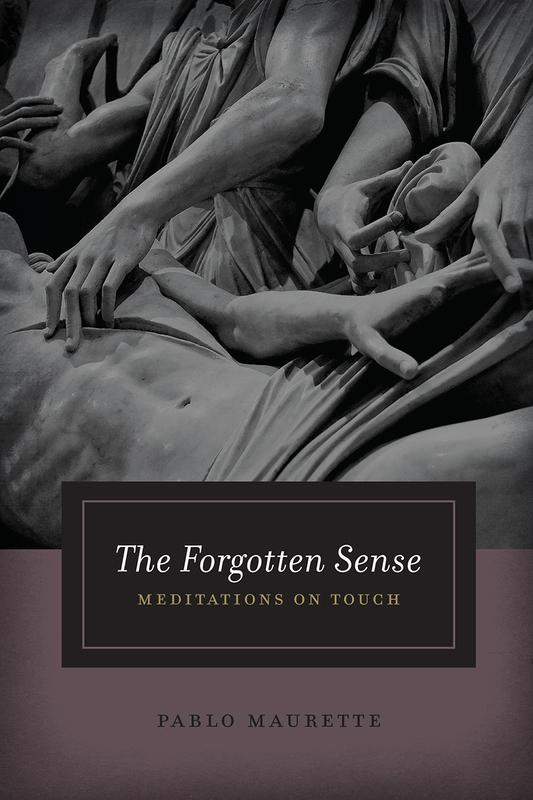 The Forgotten Sense gives touch its due, addressing it in multifarious ways through a series of six essays. Literary in feel, ambitious in conception, admirable in their range of reference and insight, these meditations address questions fundamental to the understanding of touch: What do we mean when we say that an artwork touches us? How does language affect our understanding of touch? Is the skin the deepest part of the human body? Can we philosophize about a kiss? To aid him in answering these questions, Pablo Maurette recruits an impressive roster of cultural figures from throughout history: Homer, Lucretius, Chrétien de Troyes, Melville, Sir Thomas Browne, Knausgaard, Michel Henry and many others help him unfurl the underestimated importance of the sense of touch and tactile experience. ​The resulting book is essay writing at its best—exploratory, surprising, dazzling, a reading experience like no other. You will come away from it with a new appreciation of touch, and a new way of understanding our interactions with the world around us. "This is the sort of book that might tickle the curiosity of an inquisitive undergraduate reader lured in the direction of its sources and examples, even as it reveals hidden surfaces and titillating details in those materials for a more experienced scholar. . . . A charming addition to any contemporary aesthetics collection. . . . Highly recommended." "To insist on the existential urgency of staying in touch, quite literally, with the material world that we are inhabiting, has become one of the philosophical priorities of our present. Pablo Maurette, however, has opened a new dimension for this discussion by developing concrete answers to the question how the media of aesthetic experience, how texts, films, and artworks can become instrumental in initiating such closeness to the material world to which, ontologically, they do not belong. His readings, from this perspective, of Western classics like Chrétien de Troyes and Diderot, Kafka and von Hofmannsthal, inscribe themselves in an emerging new style of critical analysis."